Jesse and I are huge iced coffee fans, even early in the morning, and we were spending a lot of money picking up coffees from Starbucks every day. 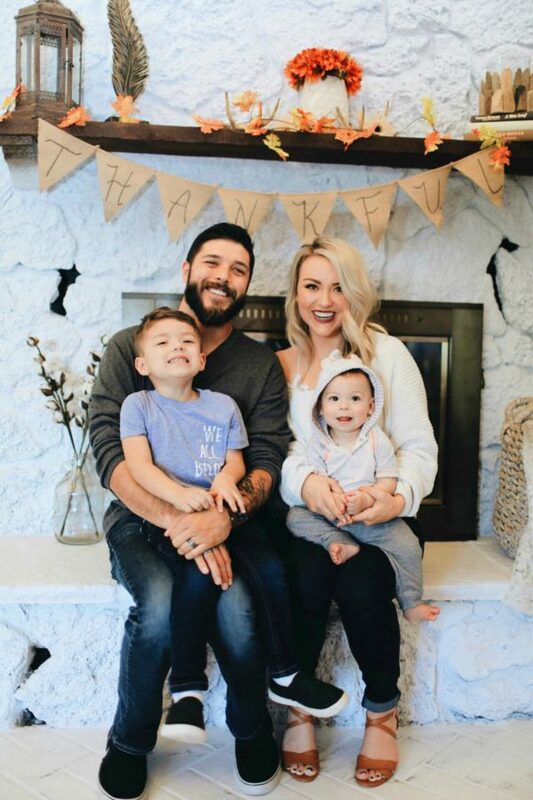 We are pursuing a debt-free lifestyle and wanted to stop spending so much money on coffee. 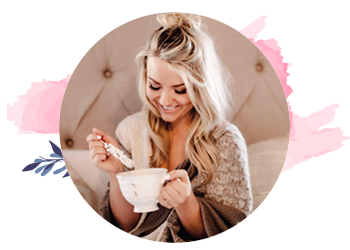 We both get a delicious coffee called the ‘Queen Bee’ every Sunday and I found myself literally dreaming about it throughout the week! 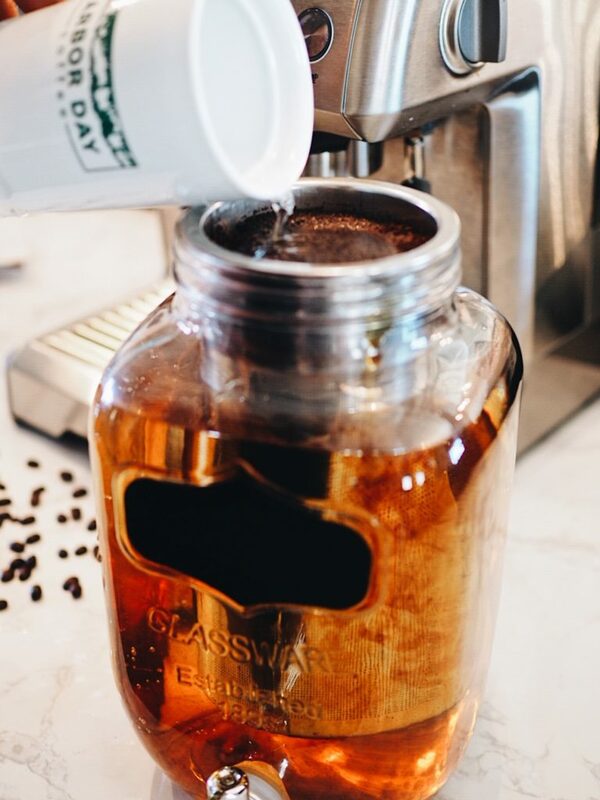 We started making it at home with our new cold brew coffee maker and realized that as summer rolls around, it will be so nice to have this on hand! I serve in the coffee shop and this is one of our most popular drinks! I love making it for our family and friends and wanted to share the recipe with all of you! We went ahead and purchased this Cold Brew Coffee Maker (which was under $30) so that we had iced coffee on hand every morning. We also use this insulated coffee tumbler with a straw to keep it cold throughout the day. 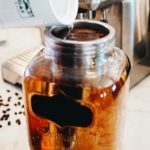 I included the instructions for making cold brew because it is so easy and, if you’re an avid coffee drinker like we are, it will save you a ton of money. We each drink a cup or two a day and the cold brew coffee lasts us about a week. However, it’s just as delicious if you use an espresso machine and pour the shots into your Queen Bee. 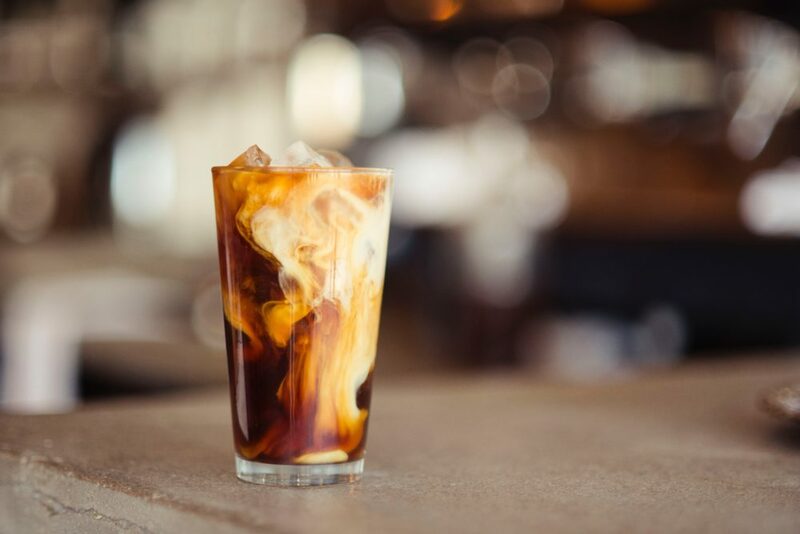 Want to make a Keto-friendly iced coffee recipe? Replace the white chocolate and caramel with two pumps of Torani Sugar-Free Caramel Syrup and two pumps Sugar-Free Hazelnut Syrup with heavy cream. Top with homemade whipped cream (made with liquid stevia) and cut the raw sugar. This is one of my favorites that we make at home regularly! 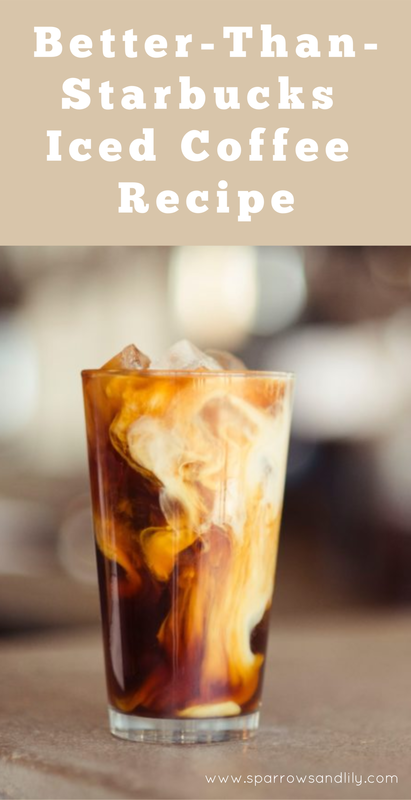 Whether you’re heading out on a vacation or just driving to work, this iced coffee recipe is guaranteed to put a little pep in your step! Iced coffee with white chocolate, caramel cinnamon and raw sugar make for an indulgent and delicious coffee treat! 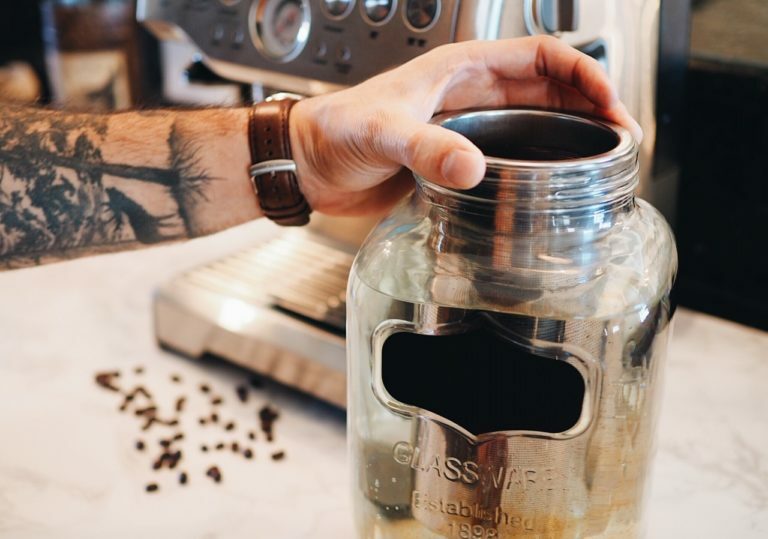 Prepare Cold Brew Coffee Maker and pour 12 ounces of coarse coffee grounds into your cold brew filter. Fill the gallon jug up to 3/4 full with water and then place metal filter into water. Pour water on top of coffee grounds to fill up the remaining space in water jug. Allow coffee to sit and brew for 24 hours. Once coffee is ready, fill 1/2 of your 16 oz. cup with ice. In a circular motion, squeeze Torani White Chocolate Sauce and Torani Caramel Sauce over the ice, just enough until it sparsely lines the inside of the cup. Pour two packets of raw sugar and 2 tsp. cinnamon on top of the ice. Fill cup halfway with half-and-half or milk. Pull three shots of coffee from your espresso machine (if preferred) OR add in your cold brew coffee and pour into 16 oz cup. Finish off with whipped cream and a sprinkle of cinnamon and raw sugar. Enjoy!